Toronto police Chief Mark Saunders says he is committed to changing police practices, including looking at “systemic bias” in the service, in wake of continued criticism over police handling of the Bruce McArthur serial homicide case. In a statement released Friday afternoon, Saunders said he supports an external inquiry or review of police handling of the homicide cases. He also pledged that the service is setting up a dedicated missing persons unit for the first time, engaging in outreach with the LGBTQ community and conducting a professional standards review of the Tess Richey homicide case and the Alloura Wells death investigation, as the families of both victims heavily criticized the police service’s approach and conduct. Bruce McArthur, 66, was first charged in January in relation to the deaths of Selim Esen and Andrew Kinsman. He has since been charged with first-degree murder in the deaths of four other men and may be responsible for at least one other homicide. Earlier this week, the lead investigator in the case, Det. Sgt. Hank Idsinga, said he found information that that suggested police conduct regarding the first disappearances of men from the Gay Village in 2010 and 2012 required further scrutiny. Police sources told CTV News that McArthur was interviewed regarding the disappearance of one man —Skandaraj Navaratnam —but did not consider him a suspect at that time. But police sources said Idsinga’s discovery was due to “some other contact” McArthur had with police. Idsinga told CP24 that the discovery he made and referred to professional standards investigators could negatively impact the careers of some police officers. Media reports said that a man complained to police in 2016 that McArthur had tried to strangle him during an otherwise consensual sexual encounter. McArthur told police it was actually he that was strangled by the complainant. The Toronto Star reported that homicide investigators were only recently made aware of the complaint. No charges were laid at the time. Criticism of the police service’s handling of the case has followed each announcement of another grisly discovery. In early Dec. 2017, Chief Saunders told reporters at a press conference he had no reason to believe any of the disappearances of the men eventually identified as McArthur’s alleged victims was the result of a serial killer. One month later, McArthur was charged and it was later revealed that McArthur had been on investigators’ radar as early as October 2017. Saunders said his statement in December was based on the evidence he and the service had at the time. In late February, Saunders told The Globe and Mail that while police “knew something was up” with the disappearance of men from the Village, they “did not have the evidence” necessary to crack the case at the time. “We knew that people were missing and we knew we didn't have the right answers. But nobody was coming to us with anything,” Saunders told The Globe. He told CP24 the next day that it was not his intent to “point fingers” at the LGBTQ community. "There is no higher priority for the Toronto Police Service - or for me as Chief than the safety of the city and the confidence of the public. For this reason, when questions related to the past encounter with Bruce McArthur came to light I immediately launched a Professional Standards investigation to get to the bottom of what happened. With the various reviews and the ongoing homicide investigation, it has become increasingly frustrating for the community to not get the answers they are looking for. I want to provide reassurance that we are taking their concerns seriously, that we see this as an opportunity to improve our police service and build our relationship with the community. 3. A Professional Standards review of the Tess Richey and Alloura Wells cases where serious questions have arisen that concern the community and me. Each of these actions is clear and concrete. As well, with the support of Police Board Chair Andy Pringle and Mayor Tory, I am pursuing an independent external review. My hope is that such a review will consider not only our investigative processes but take a hard look at systemic issues of bias of any kind. I believe these issues are serious enough to warrant a review. I have been working over the last ten days with officials and counterparts in the provincial government to explore what independent review or reviews might be possible without prejudging any current investigations or any future prosecutions. That work continues. I appreciate the full support I have had from the Chair and the Mayor and I look forward to speaking on these issues more fully at the March 22nd Board meeting. In conclusion, I want to emphasize my gratitude to the members of the community who have assisted us and who have continued to support us. 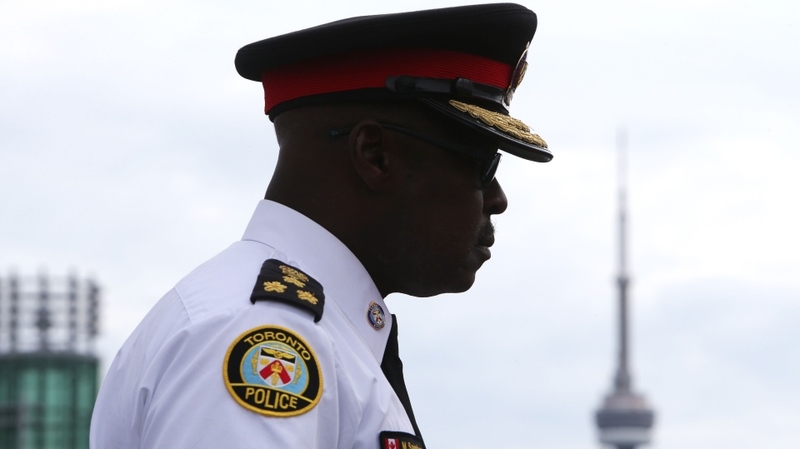 The Toronto Police Service is committed to ensuring their trust is not only maintained but strengthened in response to these legitimate questions and issues."